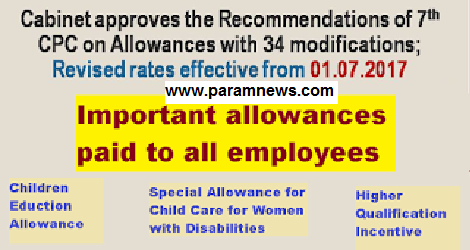 7th CPC: Cabinet Approval on CEA, Special Allowance for Child Care, Higher Qualification Incentive 6. 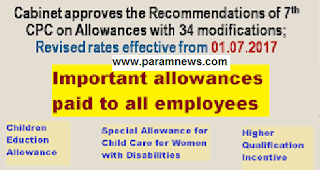 Recommendations in respect of some important allowances paid to all employees: (i) Rate of Children Education Allowance (CEA) has been increased from ₹1500 per month / child (max. 2) to ₹2250 per month / child (max.2). Hostel Subsidy will also go up from ₹4500 per month to ₹6750 per month.